Founded in 2013, Angel Armor was created to defend the life of law enforcement officers by providing innovative, industry-leading ballistic solutions. Angel Armor works diligently to provide innovative technologies that ensure security for the U.S. and other nations. The skill, strength, honor and iron wills of those served inspire the company to defuse threats, enabling individuals to live more fearlessly. With leading-edge protective solutions, Angel Armor seeks to lighten the load of those who bear great responsibility, uphold the heroes who defend our way of life, and support every person’s right to pursue their mission, passion, and freedom. Bringing together the latest, most reliable equipment and full-mission profile, Angel Armor and Federal Resources work to protect the lives of law enforcement officers by providing the best solutions for them to safely and successfully do their job. Together, Federal Resources and Angel Armor aim to provide the equipment and solutions that protect law enforcement teams so that they can protect us. 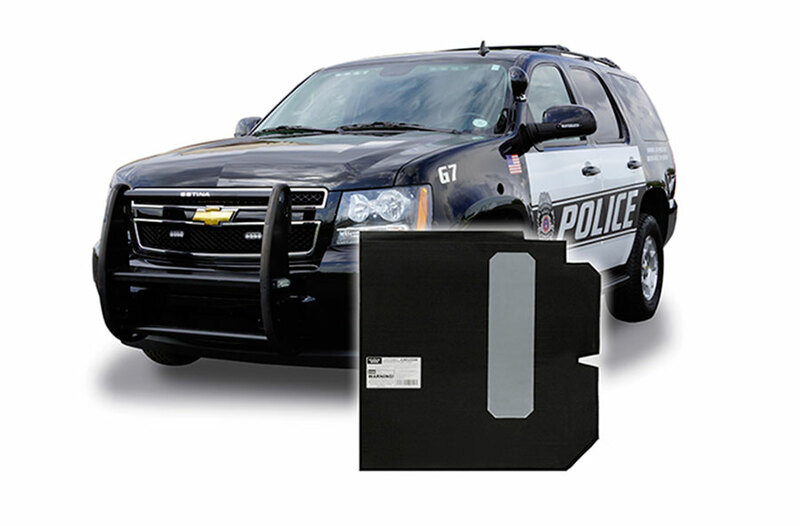 Installed inside vehicle doors within minutes, Angel Armor’s NIJ Level IIIA Ballistic Door Panels give you the ability to respond and protect with confidence. Browse all Angel Armor equipment in our online store.